I feel like every time I’ve left a big gap in my blogging, which is a lot lately, I need to apologize, but it’s always for the same thing these days. I’m not well and mostly living off of rice and fish. Any time I try to add more food in, it may be okay for a day or two, but then I start getting unwell again. So with such a limited diet, at the moment, it’s hard to be creative in the kitchen. However, that didn’t stop me from signing up for a gluten free cooking class a few weeks ago. Even though Lady Smith is a good 55 minutes away from where I live, I love attending the ‘Worldly Gourmet’ cooking classes. The location is kitchen supply store, with a kitchen in the back of the store where they hold regular cooking demos. At the end of the class you get to eat what was made. Most classes you just watch the chef prepare, but some are hands on. I’ve been to gluten free Christmas Baking class, a sushi making class, canning class, chocolate making and now this most recent gluten free cooking class. The Worldly Gourmet has recently (as of July I believe) changed hands, and to be honest I was worried the classes might not be so great, especially since the price has gone up from $50/class to $65/class. However, I was pleasantly surprised of the quality of the guest chef, the willingness to please of the host/owner, and the small improvements made to the kitchen, giving more space for the attendees to put their plates of food and write their notes. The guest chef for this class, Christina Acevedo, was originally from Montreal, lived in Calgary until recently and now lives on Vancouver Island. She is a Red Seal trained chef who also went to school for holistic nutrition training. Her day job is as a personal chef, going to people’s homes and preparing a week worth of food for them (some fresh, the rest frozen). She is mostly cooking for breast cancer survivors, Celiac’s and other people who either have dietary restrictions or want to eat whole, organic, healthy food to improve their health. Because of this, she is a wealth of information on healthy eating and tips/tricks for Celiac’s on how to heal their bodies. She suggested that we not only have to eat gluten free, but we should also be attempting to heal our guts and one way to do that is to add Glutamine to our diets. Glutamine being an amino acid that can help restore our villous cells. I’m going to try that, once the stuff arrives in the mail! Christina demonstrated how to cook Gluten Free Lentil & Vegetable Patties, Creamy Falafel (no falafels, just tastes like them) Cashew Dip, and Gluten Free Mint Black Bean Brownies. 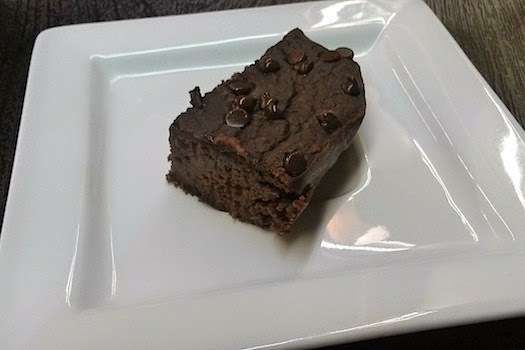 Although I have heard of black bean brownies, I’ve never actually made one, and now I would highly recommend them. They are very tasty. Everything that we were shown was super healthy and amazingly good. I hope to attend another class with Christina in the future and if you’re in the Ladysmith area, I highly recommend the Worldly Gourmet for a variety of cooking classes. 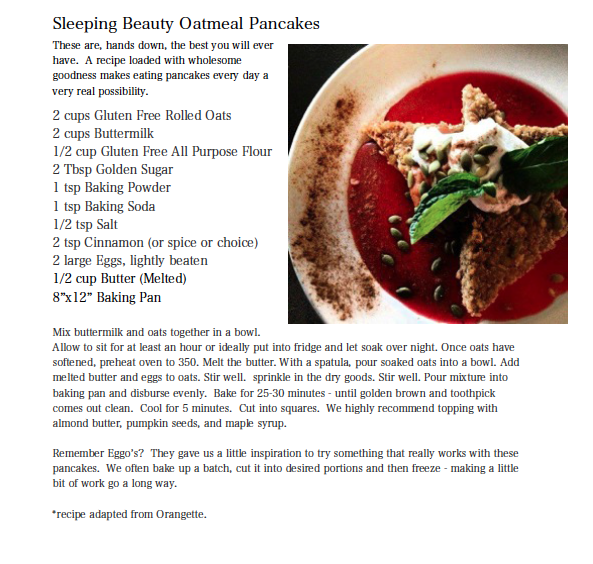 Also, check out Christina's website, Honey and Vanilla, which has some yummy looking recipes on it. There are two dishes that my family has not been able to figure out, until recently. One was roast of any kind … no matter who made it; it would be dry as a bone. And bless my Nana’s heart she would make it for all special occasions. Since she over cooked it, my Mom did and then I did. But my Mom and I have been defeating the roast beast nemesis and slowly but surely improving our roast beef prowess. Yay us! Next on the list, is the pork chop. This is another meat that our family has a history of overcooking. 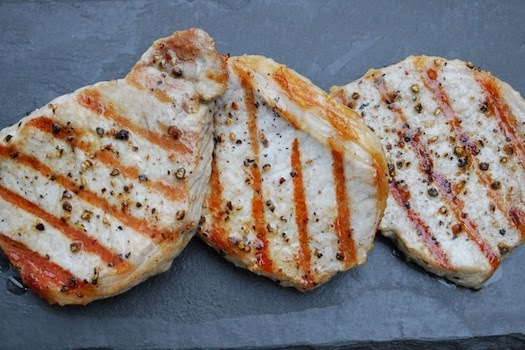 I used to despise the pork chops because they were so dry and chewy. I also used to laugh when I saw them on restaurant menus because who on earth would order something so dry at a restaurant? That got me thinking though and one day I ordered a pork chop at a restaurant (Smokin’ Bones in Victoria, BC to be precise) and it blew my mind away. It was moist, tasty and delicious. I realized then and there that even though my family is full of good cooks, I found one more meat dish we need to conquer. After finding this website: http://www.thekitchn.com/how-to-cook-perfect-pork-chops-in-the-oven-cooking-lessons-from-the-kitchn-194257 I discovered that I too could make delicious pork chops at home. They don’t even require fancy seasoning. The link above provides a brining option, which I recommend but I tend to skip because I’m not great at planning meals ahead of time. 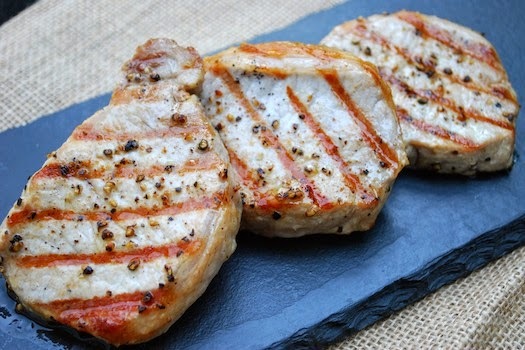 If you brine your pork chop, pat it dry with some paper towel before brushing with olive oil. If you're skipping the brining part then just brush olive oil on both sides of the chop, and sprinkle with salt and pepper (course grind for both). Next place it into a preheated skillet. I used a grill pan to give it the lovely grill marks. You can preheat the skillet or pan in the oven, since you have to preheat the oven to 350F any ways. Time your pork chop for 3 minutes in the pan and then using tongs, flip them over. At this point you move them to the oven to finish cooking in there for 6-10 minutes. Just make sure you use a meat thermometer and get the pork chop to 160F (according to Health Canada). Allow your meat to rest, to retain moisture before you cut into it. It should still be juicy and yummy. Go ahead and try it for yourself. Although many people have said that they like my icings, I never really like them myself. I’m always wishing they were like the icing you get in bakeries and for some reason mine never quite make the cut. This week at work we had an impromptu potluck bbq lunch to enjoy the sunshine before it went into hiding again. Since it had also been my birthday earlier in the week, I decided this would be a great time to make cupcakes and try to improve my icing recipe. I think I’m one step closer, because this icing is good! 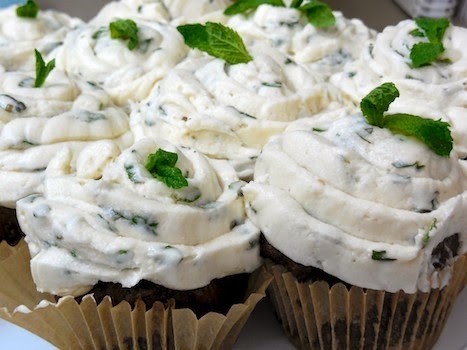 I made the cupcakes from Gluten Free on a Shoestrings Devil’s Food Cake recipe (from her book) and topped them off with vanilla butter cream icing, with a twist of freshly chopped mint. I felt that my cake was a little on the dry side, but with the nice soft icing, it was a good combination. Also, when you eat mint, you feel like you’ve just refreshed your mouth, so you end your meal with something sweet and refreshing! -based on a recipe by ALICE CURRAH and inspired by "Not Without Salt"
Beat butter and vegetable shortening for a few minutes with a mixer with the paddle attachment on medium speed. Add 3 cups of powdered sugar and turn your mixer on the lowest speed (so the sugar doesn’t blow everywhere) until the sugar has been incorporated with the butter. Increase mixer speed to medium and add vanilla extract, salt, and 2 tablespoons of milk/water and beat for 3 minutes. If your frosting needs a more stiff consistency, add remaining sugar. 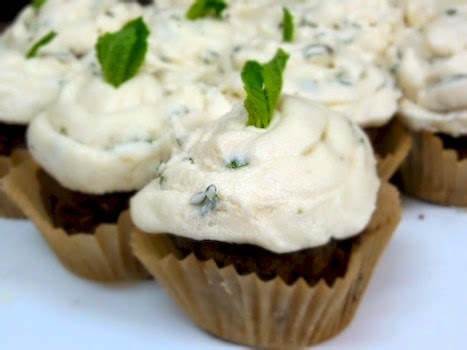 If your frosting needs to be thinned out, add remaining milk 1 tablespoons at a time. Finally add in freshly chopped mint. Back in the day, before Celiac Disease, one of my most favourite places to eat lunch in Victoria, BC was Sally Bun. 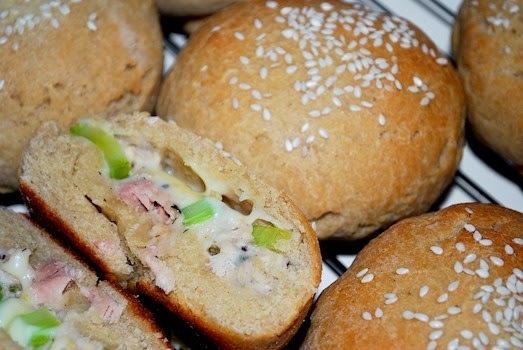 They made delicious, slightly sweet, stuffed buns that came in all sorts of flavours, such as: curried chicken, curried beef, tuna melt, Cajun mushroom, lox and salmon, etc. The buns were both yummy and filling and made a great transportable lunch. I used to buy enough for a week and freeze them until I needed them. Of course, this type of food became a fond memory when I went gluten free. However, with my recent travels to remote locations with no guarantee of safe food for me, I thought I should attempt to make a gluten free version of the Sally Bun. I think for a first attempt, it turned out pretty well! I stuffed these with tuna, but feel free to be creative. Preheat the oven @ 350 F for 15 minutes before baking. Dissolve the yeast in warm water with 1/2tbsp sugar. Leave aside for 10 minutes. Boil the milk and allow to cool down till it is warm to touch. Add sugar, oil and salt to milk. Mix well until the sugar dissolve. Add the beaten egg, yeast and mix. 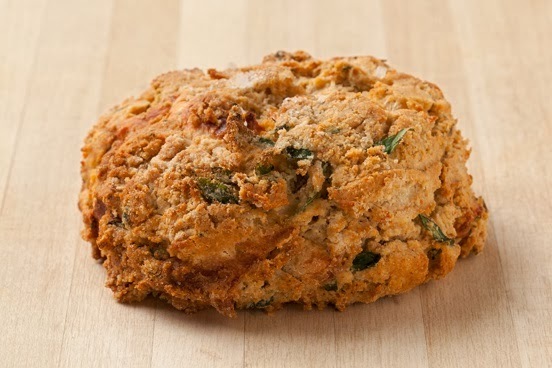 Add the flours, xanthan gum and psyllium powder and mix well until it forms a smooth dough. You may need to add more flour, but just add little bits at a time. Knead well for 10 mins (I knead it using stand mixer). Let it rest till it doubles in volume (almost 2-3 hrs). Punch down the dough lightly using your palm and divide them equally. Basically split the dough ball in half and then split each half in thirds to make 6 buns. 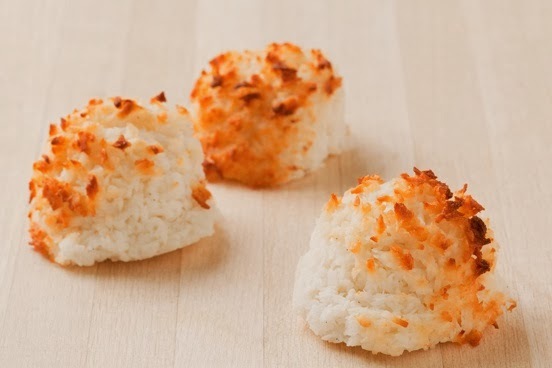 Flatten them into small discs and fill them with ¼ cup of the filling and a slice of cheese. Re-shape them into a ball. Apply the egg wash or milk to the tops. Sprinkle the top with sesame seeds. Let it proof for another 20 mins. Bake them in a pre-heated oven at 350 F for 15-20 mins. The option that is pictured is the dilly dip version, but I personally love the curry and apple version much better! 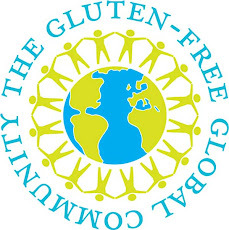 Well the First Annual Gluten Free Health and Wellness Festival in Victoria has come and gone and hopefully I will see it around again next year. It began on Friday, February 21st with a Dinner and talk with Dr. William Davis, author of The Wheat Belly at the new ”Be Love” restaurant. Unfortunately, do to my work schedule and living further up island I couldn’t make it in time for this. Although I’ve never read Wheat Belly, I’ve heard a lot of people quote it and I think it would have been a very interested evening. The following Saturday was the festival itself. I was able to make it to the start of this; however, having ill family members I wasn’t able to spend as much time as I would have liked to here. I think the expo portion was great. I was pleasantly surprised by how many vendors were there. Having been around the block of the gluten free world for a while now I was familiar with the majority of the products being showcased, but even then I still found some new and tasty things to sample and other offerings. Several grocery stores were in attendance with tones of free samples … everything from chips and cookies to meats, cereals and baking mixes. I basically went around the conference sampling my way through lunch. It’s a great way to try products that you may have seen on shelves already, but weren’t sure if they were worth the money. You know gluten free food is expensive and you either love it or hate it, so you might as well try the free sample before forking over 8 bucks for a box of cookies. Holy Crap cereal was there with their brand new endorsement from Chris Hadfield and yummy recipe cards for Blackberry Breakfast Parfait and Zucchini Quinoa Clusters. Udi’s, Glutino, and Wise Bites were on the seen. As well as nutritionists, lifestyle coaches, masseuses, and several make up companies, including Arbonne. Also my favourite indulgence of late Vij’s frozen ready meals. Vij is famous for his very tasty curry restaurant in Vancouver and he’s even on Canada’s Chopped as a judge. Some of their products say gluten free and some do not. I wrote them to inquire about the safety of their food and they informed me that all of their ingredients are gluten free, however, ‘asafetida’ a spice is commonly cut with wheat. Although the spice doesn’t say it has gluten, they suggested avoiding any of their products with that spice in them. So I have and greatly enjoy their Mother In Laws Pork Curry on one of those days when I just don’t feel like cooking. Another favourite curry provider was in attendance, Daksha’s Gourmet Spices. She has a wonderful collection of spice mixes for every curry imaginable, as well as chai tea and salsa. I also have a gluten free Indian cooking book by her. Her products are reliably safe and always tasty. I won’t be able to remember every booth that was there, but there were a few new booths that caught my attention as well. One was Abuelo’s Corn Tortillas made in Courtenay. They were delicious. The other was “The New Gluten Free” a book on “Demystifying Gluten Free Baking” and online baking school. And as a result of looking into this and keeping an eye on the Celiac Scenes facebook updates, I’ve discovered the authors of this book (two registered dieticians) give in person gluten free baking courses at Creative Occasions, which all sounds pretty fantastic. I would love to try them out one day. In addition to the expo portion there were also several speakers and yoga classes taking place. Sadly for me, I had troubles finding signs for where the extra events were and what there schedules were so I didn’t get to experience them. As it was a first time running this event there were bound to be a few things that could be improved. For me it would have been signage for events, signage for any vendors that might not be entirely Celiac friendly and bags to put samples in. But these are all things that are easy to improve upon, and I’m sure next years event will do just that. Finally the weekend wrapped up with another opportunity to here from the author of Wheat Belly that evening. As the Gluten Free Health and Wellness Festival has officially ended, this will be my last post about it and I will return to my regular blogging. But before I do, the organizers of the festival wanted me to share one last recipe with you. 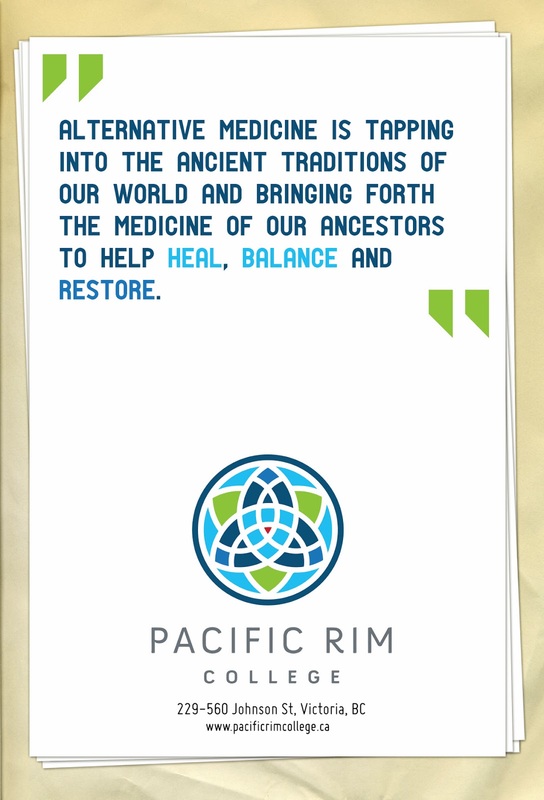 This one comes from a place called Nourish in Victoria near the Horticulture Centre of the Pacific. I’ve been to the Horticulture Centre before which has lovely gardens to walk around, but I have yet to experience Nourish. After checking out their menu though I think I will have to go there soon. The Red Barn Market hasn’t made their way up island yet, but I wish they would. I used to live 5 minutes up the road from one and they were great. It was nice to that I could just jump on my bike and go, if I needed something quick.They had great produce, local meat and eggs, and gluten free options. This was back in the day when gluten free wasn’t as popular and it was still tough finding specialty items. They even have gluten free sausages that are delicious. My favourite part of course was being able to get twice as many vegetables for half the cost of a regular grocery store. Although I've found some great markets up here, I still feel nostalgic for the days where I could shop at Red Barn Market. 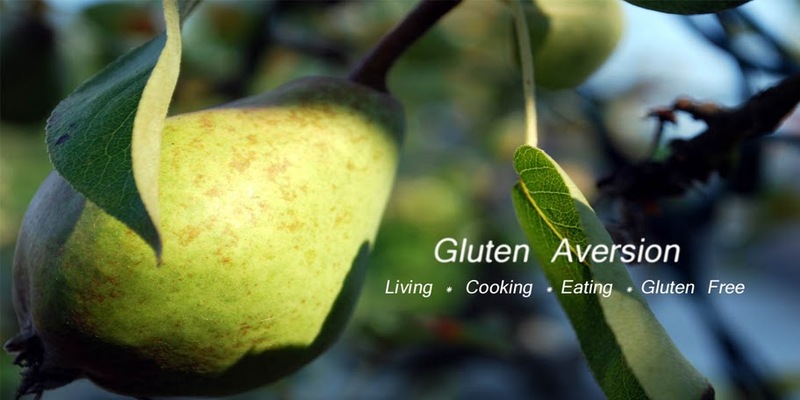 As a sponsor for the upcoming Gluten Free Health and Wellness Festival, they have offered up some tasty gluten free recipes that I’m pleased to share with you (courtesy of the Gluten Free Festival team). 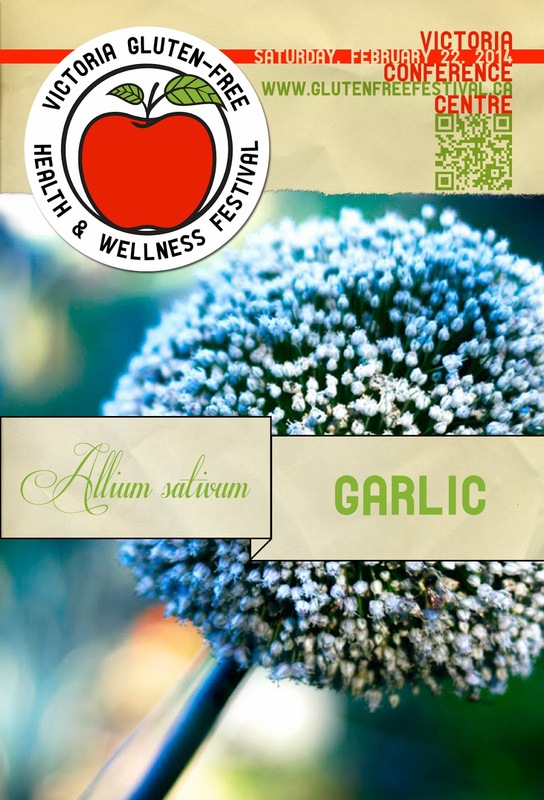 If you’d like to win tickets to attend the festival for free, please leave a comment on the following page: http://glutenaversion.blogspot.ca/2014/02/guest-post-gluten-free-health-and.html. The contest closes next Wednesday at noon. Place the quinoa in a saucepan or a rice cooker. Add 2 cups fresh water, and a pinch of sea salt. Cover and cook on a low simmer until all the water is evaporated and the quinoa is tender- roughly 20 minutes. Fluff with a fork and dump it into a large salad bowl. Add the baby spinach, pear, chick peas, and chopped parsley to the quinoa and fluff. 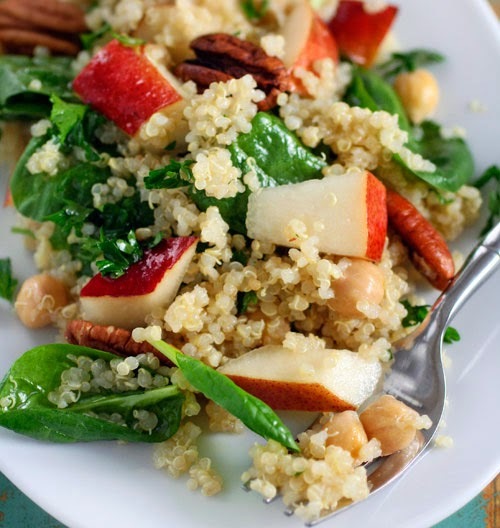 Whisk together the vinaigrette, pour it over the quinoa salad and toss gently to coat. Season to taste with sea salt and ground pepper. Just before serving, add the toasted pecans and lightly combine. Makes four main course servings, six side dish servings. Origin Bakery is my go to dedicated gluten free bakery in Victoria. Whenever I come down island to visit family and friends I always make sure I stop in at Origin and stock up on lunches and treats to help me make it through the weekend. My favourite items are their baguette sandwiches, fig bars, apple galette and of course their cupcakes loaded with icing. Mix together first 8 dry ingredients. Rub/cut in butter into dry ingredients until evenly mixed and butter in pea-sized pieces. gently combine into dry mix without over-mixing. Scoop into 12-16 mounds on greased/parchmented baking sheet. Lightly flatten and sprinkle with coarse salt or more cheese if desired. 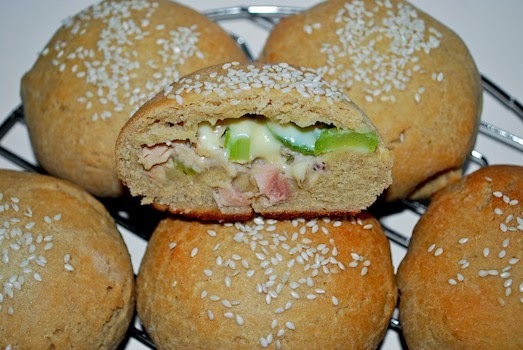 Bake 15 – 18 min. Yields about 25 cookies, depending on size. Being diagnosed with Celiac Disease changed my life in so many ways, I could never have imagined. It's opened up a lot of doors and new passions and I hope to share them here with you. 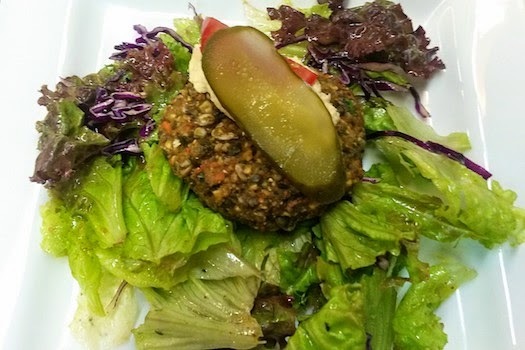 ZenKitchen™ Makes Ottawa's Celiac Scene!